Accidents can happen quickly, and if you’re on the playground, in the wilderness, or home alone, you may not have access to proper first aid. And while there’s no true substitute for expert medical care in serious situations, these healing shortcuts can be temporary — and sometimes lifesaving — solutions. How do you treat burns? 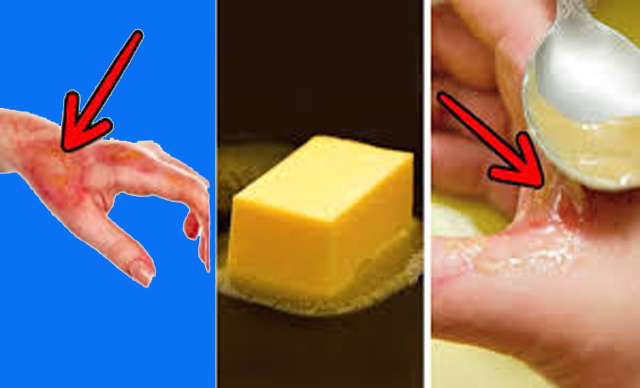 Using butter to treat burns is an old folk remedy that has been around for centuries. It gained credibility when the Prussian Surgeon General Friedrich Von Esmarch recommended in his influential 19th Century handbook on battlefield medicine that burnt surfaces should be covered with an oil, grease or butter. The idea was to seal the burn off from the air, keep it clean, prevent infection and help the healing process. How do you treat sunburns? Soak a T-shirt in one part vinegar (any type will work) and one part cool water. Vinegar is thought to balance the pH in the body, and the acetic acid in it (used in the synthesis of aspirin) helps relieve pain and itching in mild sunburns. You can also freeze aloe vera in ice cube trays and rub them on your skin. Want to know about other first aid lifehacks? Watch this video till the very end! Disclaimer: We strongly advise you to consult a specialist before beginning any treatment program or making any adjustment to your health care, diet, or/and your lifestyle. Do not remove yourself from any prescribed medications or treatments without consulting your physician. Any and all dietary supplements or nutritional products and treatments discussed in this video are not intended to diagnose, treat, prevent, or cure any health condition. The information contained in this video is for general information and for educational purposes only. Nothing contained in this video is or shall be or considered, or used as a substitute for, medical advice, diagnosis, or treatment. Viewers should always seek the advice of a medical practitioner with any questions regarding their health. Never disregard, avoid, or delay obtaining medical advice or following the advice of a physician because of something you have seen or watched.